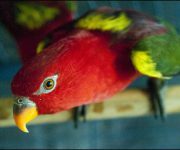 The yellow-backed chattering lory is one of three subspecies found living in the tropical forests on the Moluccan Islands of Indonesia. They spend most of their lives in the forest canopy where they feed mainly on nectar and pollen. 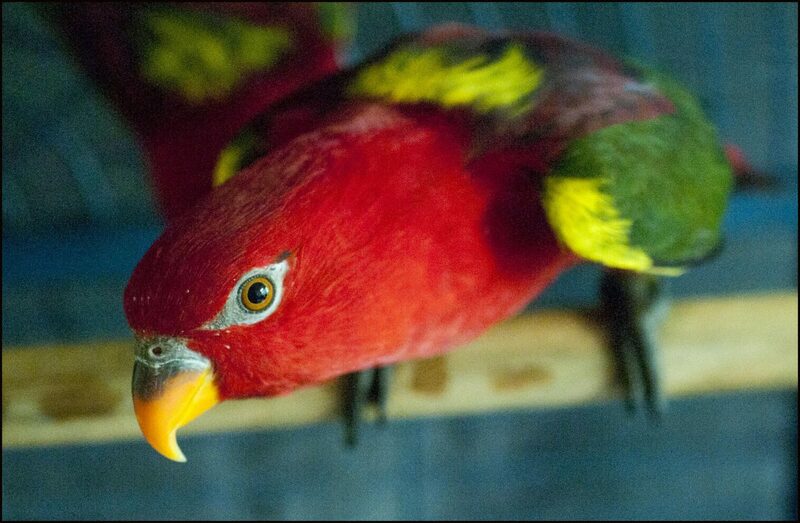 Lories as a group have specially adapted tongues to collect the nectar and pollen. They are also known to eat coconut flowers, fruits and maize. The chattering lorry nests in tree holes often 20-25 metres above the forest floor. The female lays two eggs per clutch and these hatch after an incubation period of around 28 days. The chattering lorry population in the wild has undergone dramatic declines in recent years due to habitat loss and the collection of birds for the pet trade. This has led to them being listed as Vulnerable on the IUCN Red Data List and international trade being controlled by their listing on Appendix II of CITES.